The history of abacus math is as long as the history of mankind. 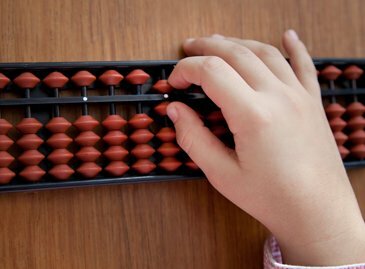 The visualization element made its way into calculation and counting when abacus was invented. 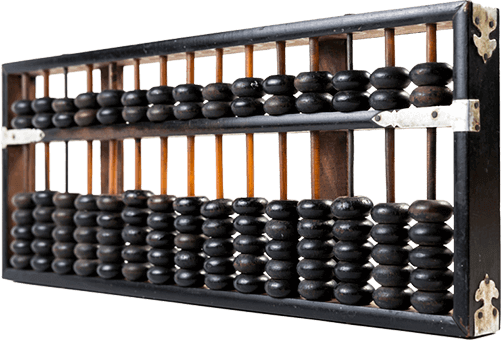 Abacus is considered for be a device that existed 5000 years ago. The Japanese abacus is called Soroban, and using just a metal frame and beads, a person can do some impressive calculations on it. Salamis Tablet is considered the oldest abacus in the world. Used by Babylonians for counting, it is said that this tablet of stone existed in 300BC. When children are taught how to do mental math, the whole process revolves around doing calculation and counting on an abacus. They first start on an abacus to do the calculations but with proper training and instructions they are easily able to visualize an abacus in their minds. 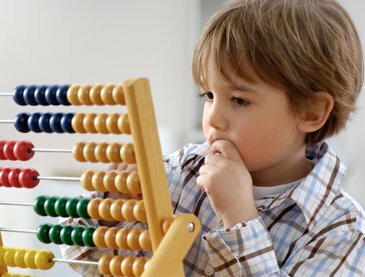 Therefore, when a child with mental math training is doing calculation, he/she is visualizing an abacus in their mind. To understand the benefits of mental math for kids, you need to realize the functioning of a human brain. When you divide a human brain in two equal halves, you have the left and right hemispheres. Although they seem identical, they control completely different sets of functions. Analytical thoughts, science and math learning, logic, language skills etc. are associated with the left hemisphere of the brain. Spatial abilities, visualization, recognition of faces, understanding of music etc. are the functions of the right hemisphere of your brain. From this, it is not hard to conclude that both left and right brains of a person need to be trained for maximum efficiency. Now, when a mathematical problem is given to a child, the calculation has to be done in the left side of the brain, as this side is responsible for mathematical operations. This child will have hard time coming up with the answer using only their right left brain because when answer is to be given without using any pencils, papers, calculators, it has to be visualized in the brain. Visualization is the task for right brain, so a child can visualize numbers using the right brain, come up with the answer using the left brain and say it out loud. However, quick calculation using both the sides of the brain will only be possible when both sides have been trained properly. There is no method more effective, unique and result-oriented than mental math to train both sides of the brain. 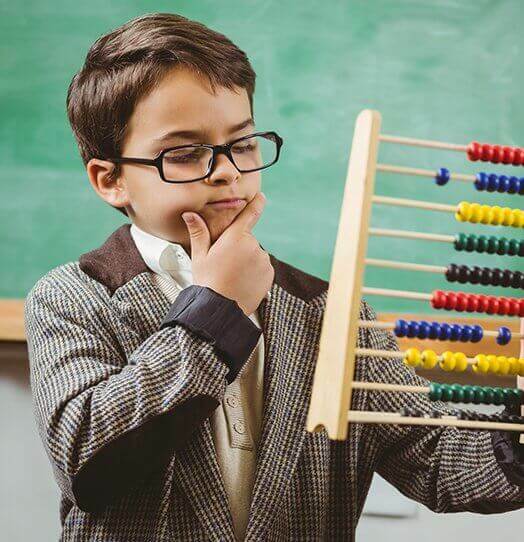 A child who has completed mental math course is able to do these calculations because he/she is actually visualizing the abacus in the head and these visualizations are strong. You can call it a coincidence or correlation that some of the greatest minds of the world performed, preferred and promoted mental math. 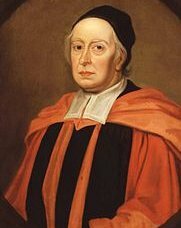 One of the genius minds from the past was John Wallis. John Wallis was a mathematician and he was ready to attend university at an age of 13. In the middle of 17th century, he served his country as a cryptographer and he is one of the most prominent names when it comes to infinitesimal calculus. This genius mind who contributed to music theory, geometry, collision of bodies, algebra was known for his mental math calculations. Gauss, Hamilton, Ampere etc. are other big names of the history that promoted and performed mental math. Is it a coincidence that these great people of the past all practiced mental math? Undoubtedly, there is a correlation between their work, mental math and brain development. One of the greatest tech minds of recent history, Steve Jobs, was also known for training his mind to be as great as it was. 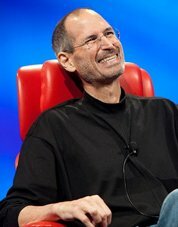 Steve Jobs had been doing meditation to calm his mind and reach its maximum efficiencies for a long time at the time of his death. While he was not directly practicing mental math, his brain worked so tremendously because it used the abilities of both sides of the brain, which is exactly what mental math achieves. Keep in mind that when your children learn mental math, they don’t learn math instead they structurally develop their brains using the most effective technique called mental math. We have designed our mental math program with utmost care to how a child’s brain can learn fastest. We have a step-by-step approach to our instructions and tutoring, and we make sure that a child has fully understood one idea before we give them a new one. To achieve our goal of improving your child’s brain functions we have designed more than 150 different lessons. We introduce them to various techniques, tactics and tips to make subtraction, addition, multiplication and division faster and accurate. The best thing is that we do this through activities that are a lot of fun for the kids. They learn without pressure, at their own pace and with effectiveness. The foundation of all these practices is the use of abacus. With abacus our little genius minds use the power of their imagination to reach accurate calculation results with lightening fast speeds. The use of calculators has made modern people lazy at doing calculations in their minds. Using a calculator requires no skill and no use of memory. You just insert the number, press the “=” sign and the answer is there. On the other hand, mental mathematics is all about memory. You have to remember techniques and tricks to do faster calculations. A better memory goes a long way helping your child perform at best during examinations and deliver flawless presentations and speeches as a professional. Using Soroban, the child is required to move their finger hundreds of times and the tables are recited several times in the head. A human brain has several lobes, each lobe having a connection with fingers on your hands. As the fingers of your child move on the abacus they stimulate a different lobe of the brain. This structural development of brain results in better mental power and increase concentration. With increased concentration, your child is better able to perform at school, grasp technical and difficult ideas faster and outperform peers at office. Human brain has a left hemisphere and right hemisphere controlling the logical and visual abilities of a person respectively. Anything related to numbers, analytical data, sequencing etc. is controlled by left side of the brain whereas the right side controls a person’s predictive powers, spatial memory, recognizing faces etc. As part of our program, your child learns and memorizes all arithmetic operations in their left side of the brain i.e. logical side. However, with mental math activities and tests require your child to convert that information into visual information as they work on the beads of the Soboran. 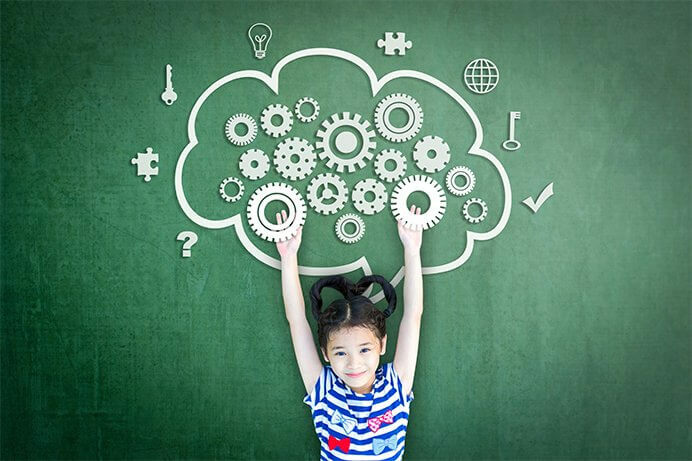 Development logical side of the brain helps your child make hard decisions of life through proper logic whereas the imaginative side helps them develop business leadership skills as they have an insightful approach toward numbers. Mental Math improves a child’s attentiveness and goes beyond their study skills. It makes them avoid misunderstandings in domestic and professional life. It helps them nullify conflicts in their practical lives and identify disagreements and agreements. Such attentiveness helps tremendously in a professional such as law. All the information you give the child needs to be processed in mind. When multiplying big numbers or dividing them, they have to do a lot of information processing. It starts slow, but soon they get used to processing this information and finding answers faster. This gives them the most valuable strength required in any profession in the world i.e. decisiveness. People who can process information fast can take decisions fast despite great pressure. This is an ability that every employer seeks in their employees. At the same time, it is crucial for any successful businessperson. When you give a mathematical question to a child that does mathematics the conventional way, he/she will write it down. They will then perform the calculation at their ease. Yomiageanzan is the name referring to a training in which kids learning mental math are given loud instructions. The problems are not to be written down, but only recited loudly and then solved. This gives a huge boost to children’s listening skills. When a person listens to instructions and directions carefully, they are able to complete their tasks faster. They grasp complex ideas with ease. Proper listening reduces changes of making mistakes during the process, a skill integral to every profession, even more to computer programming. Mental Math is Spreading Globally Fast – Has Your Child Become a Part of It Already? As more and more people continue to realize that mental math program is not just a simple way to teach mathematics to children but something with a much bigger scope, it becomes a common course in the most developed countries of the world. There are nearly 60 countries where this program is taught to children and adults for helping them in the development of their brains and making them more relevant in the modern competitive world. There are 5,000 learning centers teaching this program with over 5,000,000 students learning this valuable skill, and these numbers are on the rise fast. In fact, there is an international world cup, called Mental Calculation World Cup, held in Germany every other year. Mental math geniuses come from around the world to become a part of this international event, which has been held after every two years since 2004.